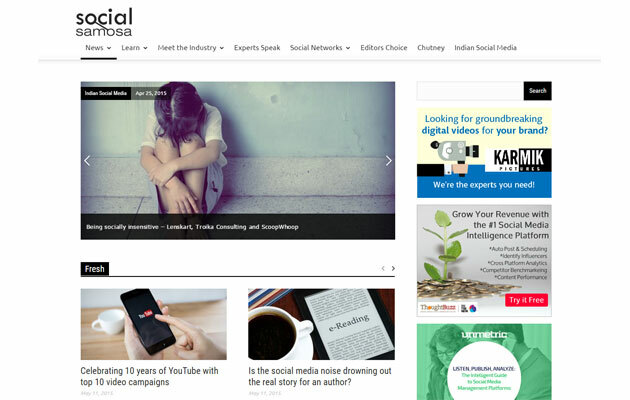 Social media news portal Social Samosa has been acquired by unnamed private investors and the two co-founders of the Mumbai-based startup have moved on to pursue their other digital ventures, according to a press release. Although the deal amount was not disclosed, several media reports said that the deal was signed for Rs 2-3 crore. Social Samosa was founded by Ankita Gaba and Aditya Gupta in November 2011. When contacted, Ankita declined to share further details on the buyers and the rationale behind the sale citing confidentiality. The startup has a little over over 10 employees and claims to have been generating annual revenues of around Rs 70 lakh. Gupta is currently involved with another startup called iGenero, which is a six-year-old digital interaction agency that specialises in branding, web-based products and digital strategy. It has operations in Hyderabad, Bangalore and Mumbai. On the other side, Gaba is also a co-founder of another startup named GetEvangelized, a platform that helps influencers on social media find digital endorsement opportunities from brands and agencies.